After 6 years of hard work, the band has found its firm lineup with members who have dedicated themselves and their lives to the music. In that half decade, the band’s sound has developed and matured to the point where it is now; a truly unique mixture of different genres and sounds. PRIMITIVE is the debut album in question and follows their 2016 ’’Northern Lights’’ EP and the 2018 pre-singles ’’Birthright’’ and ’’The Catalyst’’. When the opening track, "Skinwalker" kicks in, you know that you’re being taken on a tremendous audio journey, the car being driven by the 5 members of ATLAS, a Finnish metalcore band, or as they prefer to label it, "Northcore". After six years of hard work, the band feel they have achieved all they can in putting every ounce of energy into this album, it’s made up of blood, sweat, tears and the talent that every member brings to the table. This album is quite lyrically extensive, with Patrik Nuorteva's voice wailing over the belligerent guitars and thumping bass, not to mention the extraordinary beats coming from the drums. With rapid tempo changes and the ethereal nuance of the electronica, you find yourself wrapped in a sound that you’ve never heard before, and you are left on tenterhooks, ears at the ready to see what's next. The record has some interesting song titles, like "Kaamos" (meaning 'Polar Night') and "Pareidolia" (think 'man on the moon' phenomena); these unique titles add to the unique style of the band, who admit that bands like Bring Me The Horizon have made an influence and although you may hear a song that is similar, ATLAS has a sound they have carefully crafted as their own. A brilliant entry on this album is "Feel", heavy drums are the background for this truly beautiful lyrical assault. This song takes you on a ride of emotional turmoil, from the high-pitched screams to Nuorteva's guttural growls, the pain behind this song is quite evident. The guitar melodies carry a delicate sound that gives the listener a feeling of just hanging on, by the skin of their teeth, through life’s journey. It’s a fantastically haunting experience. This is a tremendous album and you can only expect Atlas’s bombastic, unique sound to grow as they continue in their quest, one with even more depth and weight as they continue to grow musically. If you are a fan of metalcore, or rather as they prefer, "Northcore", this is most definitely an album worthy of a few spins. 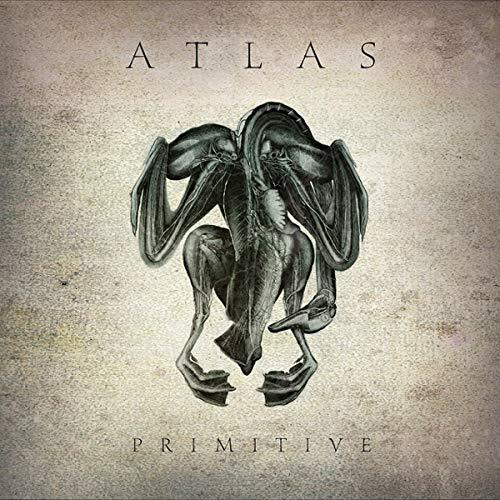 "Primitive" will be released on 16 Nov 2018 via Inverse Records; Atlas will also be supporting Monuments on their tour.